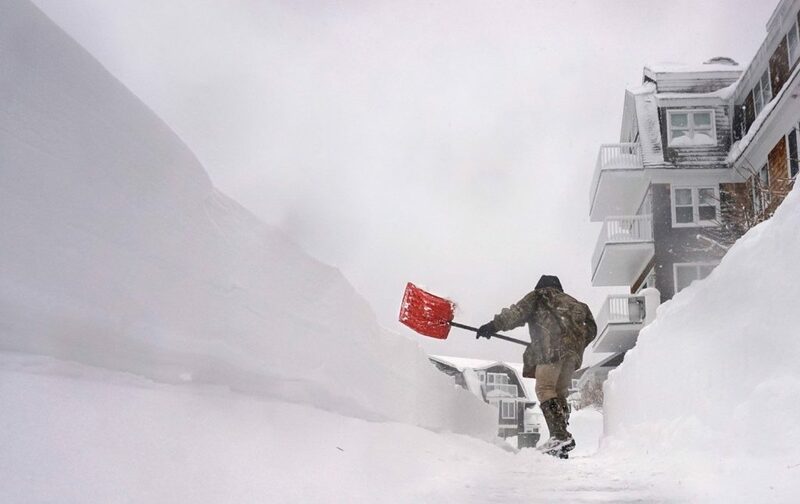 The storm will be accompanied by howling winds, whiteout conditions and up to 2 feet of snow in places, according to the National Weather Service. 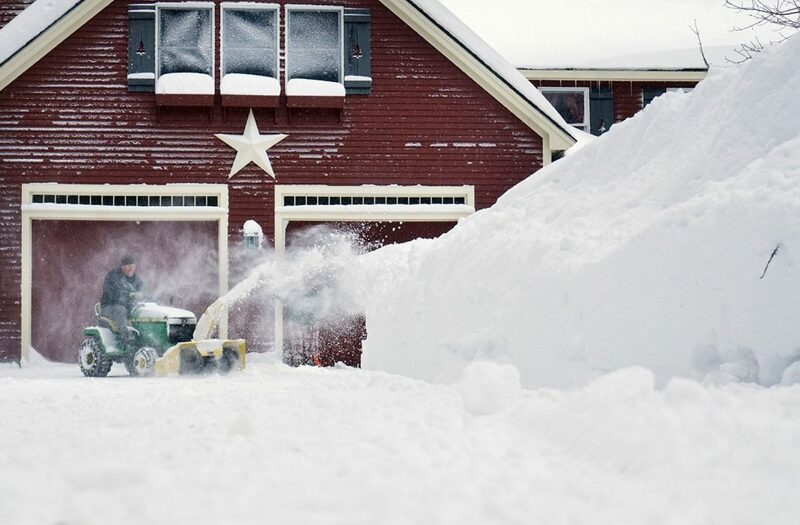 Mainers spent a good part of the day Saturday clearing several inches of light, fluffy snow that fell in the morning before turning their attention to a nor’easter that was due to arrive Sunday, bringing with it howling winds, whiteout conditions and up to 2 feet of snow in places. 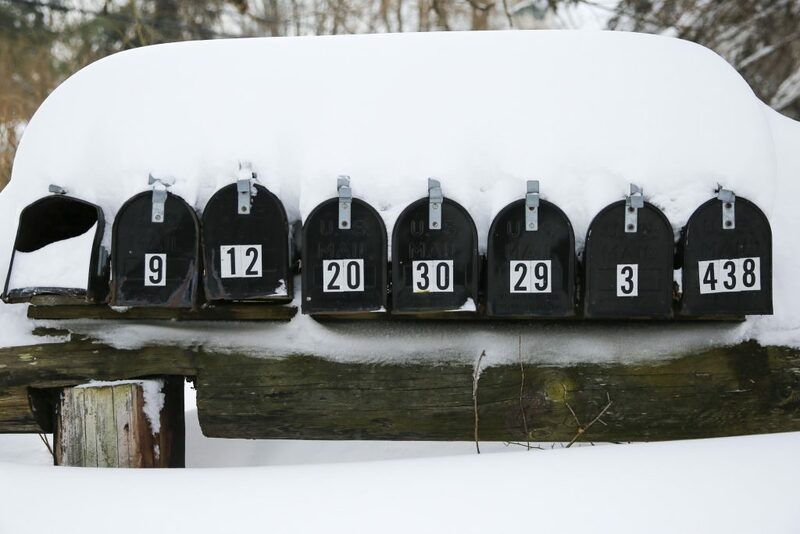 Roads in Greater Portland were slushy but busy Saturday afternoon as people ran errands in anticipation of being snowed in for 24 to 48 hours. The Hannaford grocery store on Forest Avenue in Portland was packed around 5 p.m. Customers weren’t buying any one thing, just enough of everything to get them through the next couple of days. 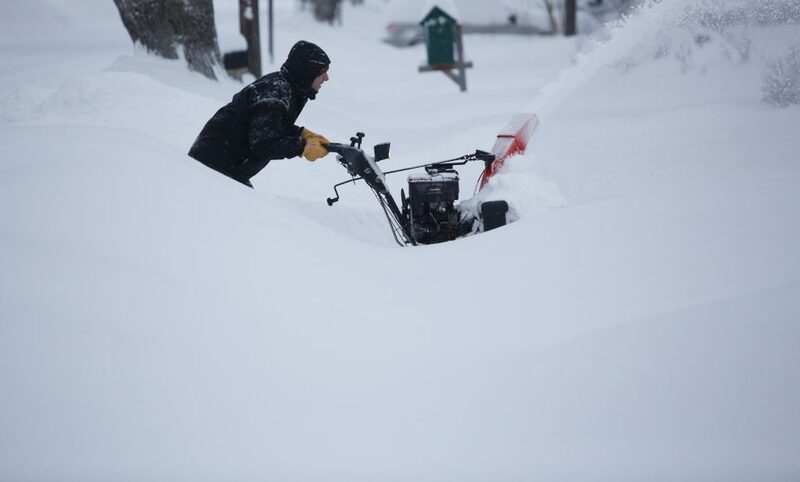 “I can’t see going anywhere for a little while,” said Abby Garland, a University of Southern Maine student who had bread and cheese for grilled cheese sandwiches, soup and a handful of other items. The Shaw’s supermarket at Northgate in Portland was similarly busy early Saturday evening. James Eberhart had been sent by his wife to get a short list of things, including eggs, milk, bread and a bottle of wine. He said he didn’t mind coming out. 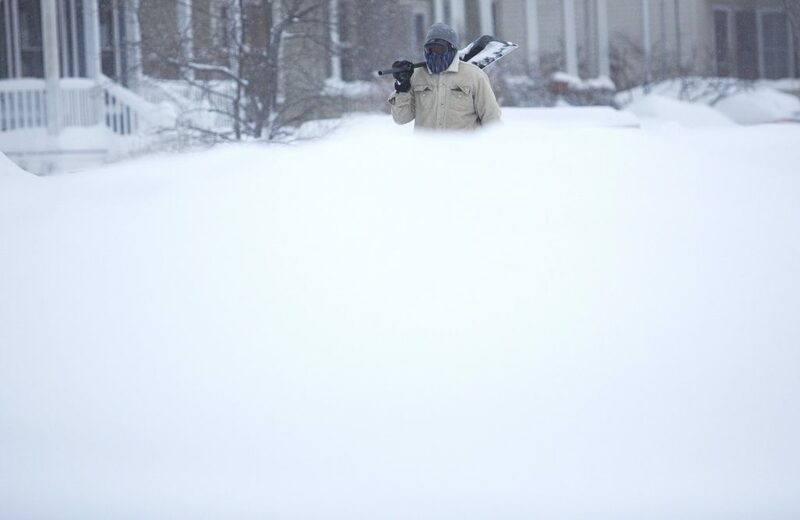 “I needed to get gas for the snowblower, too, and I’m not going to want to go anywhere tomorrow,” he said. 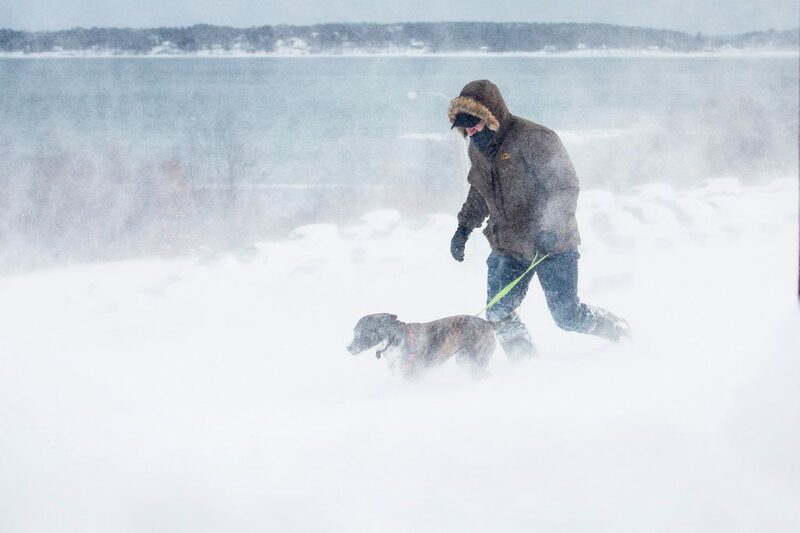 All of Maine was under either a winter storm watch or warning for Sunday and Monday by the National Weather Service, and eastern Maine from Bangor to the Canadian border was under a rare blizzard warning with wind gusts of up to 60 mph possible. 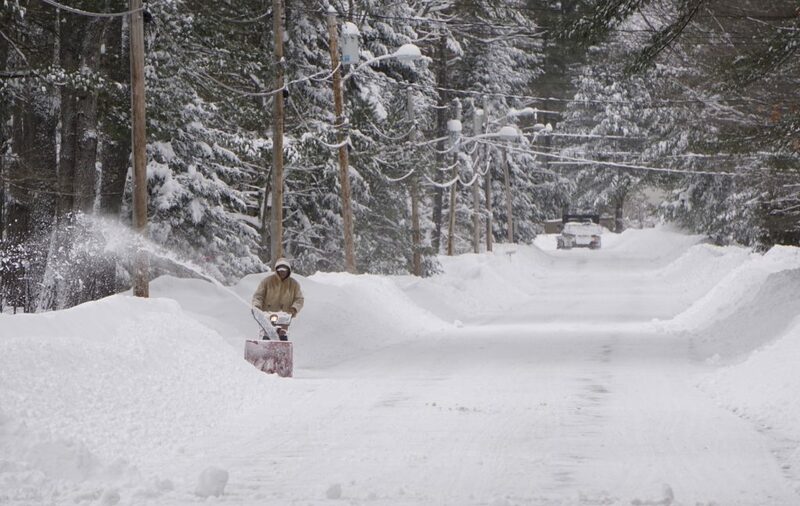 The Portland area and western mountains should get 12 to 18 inches. 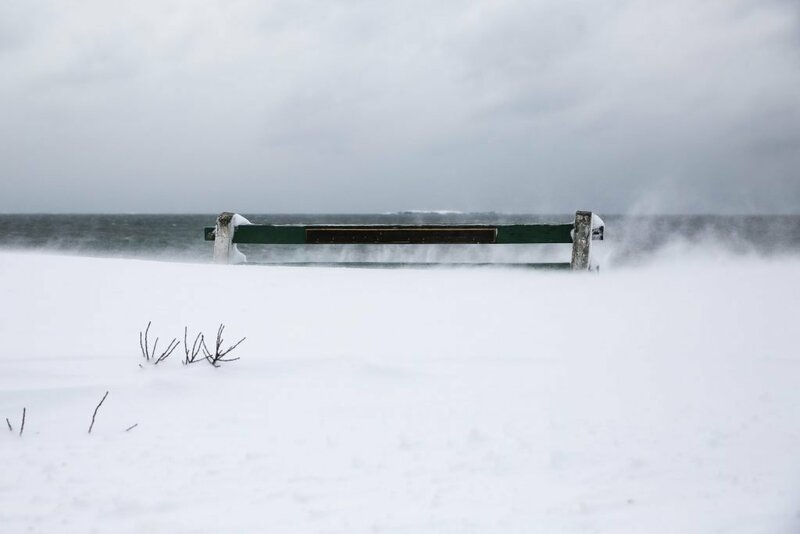 Midcoast and Down East Maine could get 18 to 25 inches, while the northern tip of the state will escape with 4 to 8 inches. 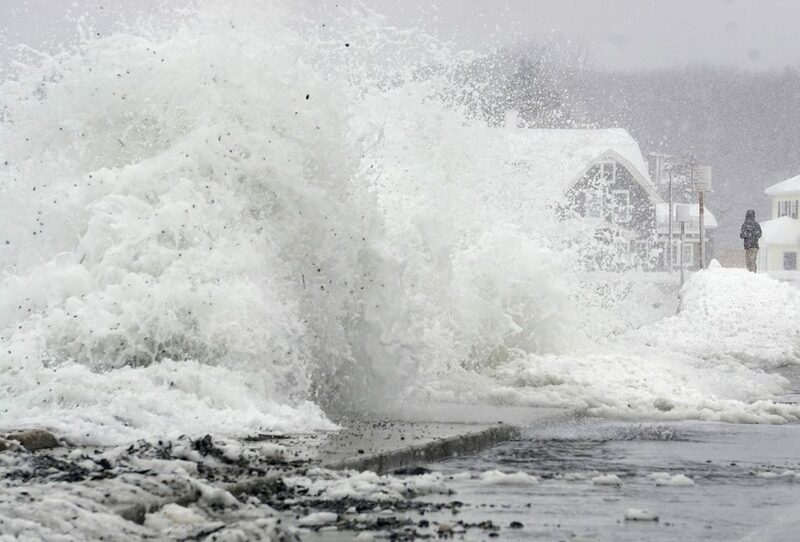 Mike Ekster, a meteorologist with the weather service in Gray, said no part of Maine is going to be spared. 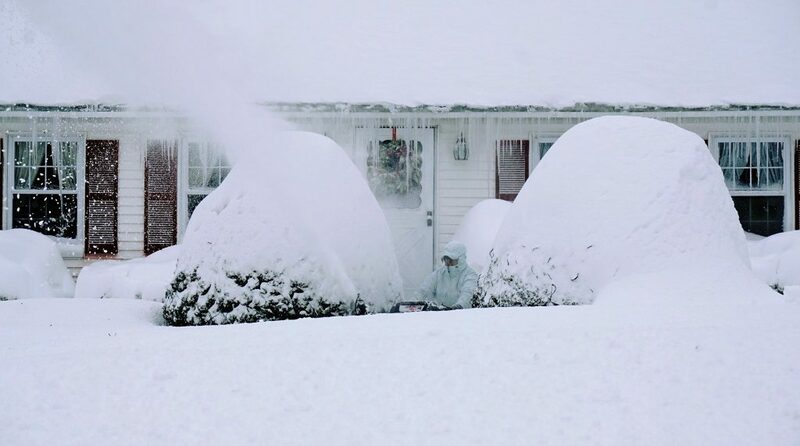 A blizzard is defined as visibility of less than a quarter-mile, usually significantly less, restricted by falling or blowing snow for at least three consecutive hours. Ekster said the winds could cause significant blowing and drifting of snow, which could contribute to power outages. 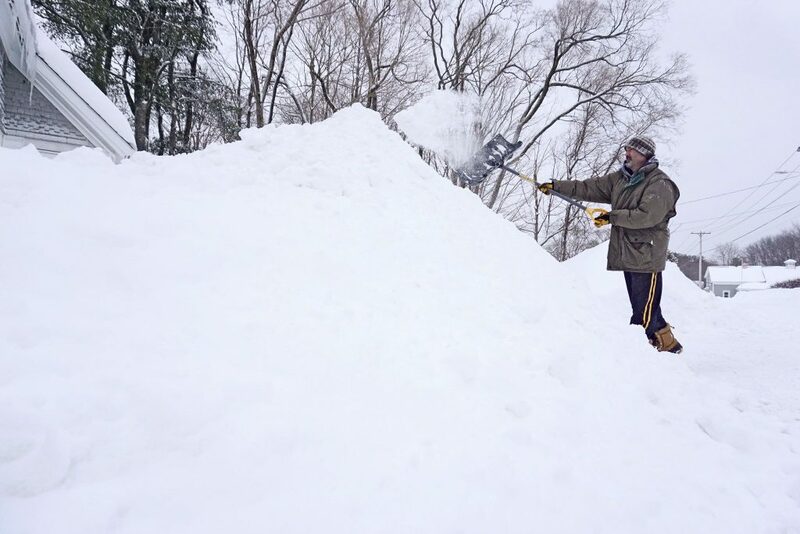 Victor Nouhan, lead forecaster at the weather service office in Caribou, said the pending storm will be the most significant of the season by far. 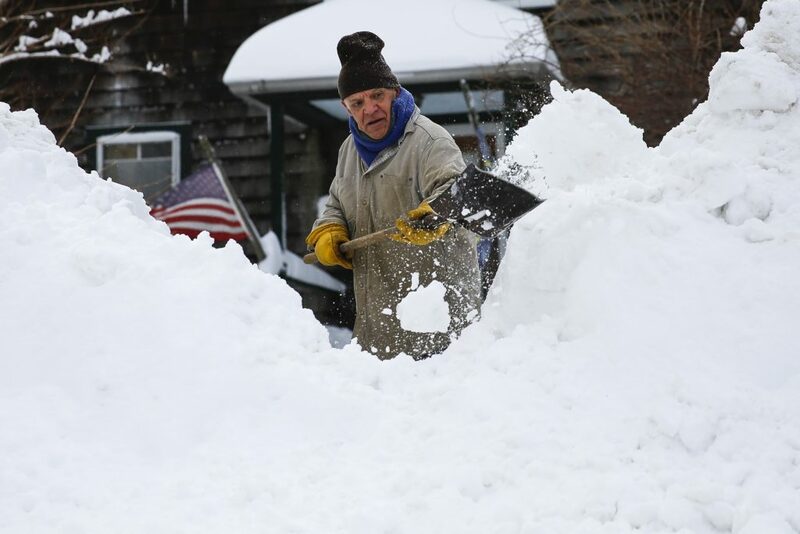 For coastal areas, which had little or no snow on the ground when last week began, the four snowstorms – a slushy, rainy mix Tuesday, a nor’easter Thursday, a clipper Saturday and another nor’easter for Sunday – could leave a 3-foot-thick blanket behind. 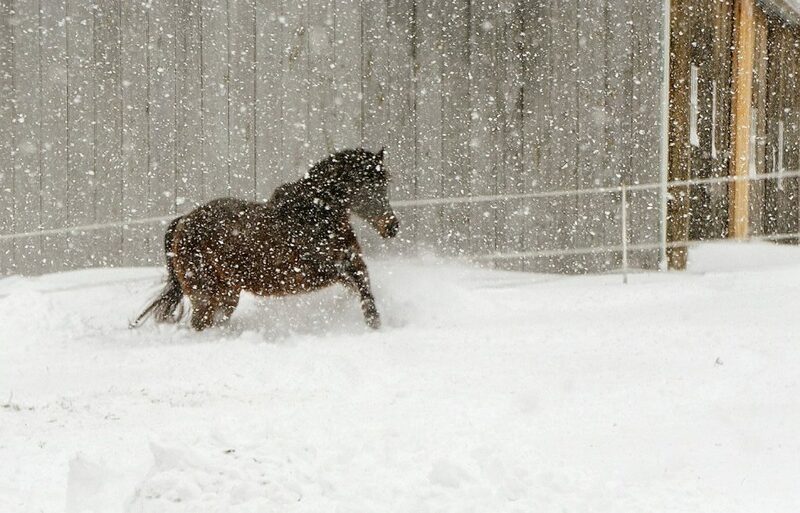 Already, more snow had fallen Saturday than expected. By midmorning, roads were covered with snow but traffic was moving in Portland. Police said there had been a number of minor accidents across the city overnight but no injuries. 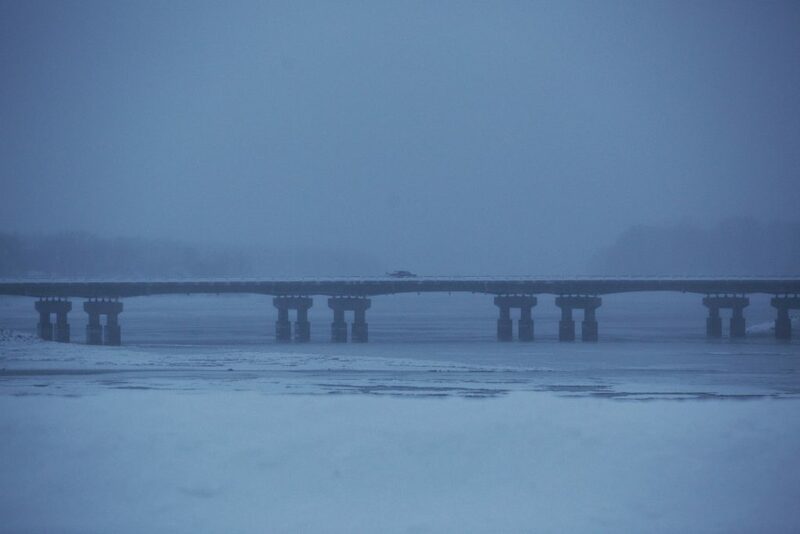 The Maine Turnpike Authority reduced speeds to 45 mph along the entire length of the highway because of snowy conditions. About 11 a.m., a rollover between Saco and Biddeford slowed traffic in the southbound lanes. Drivers were advised to expect moderate delays. Another accident on the turnpike southbound between Saco and South Portland shut down a lane of traffic late Saturday afternoon. 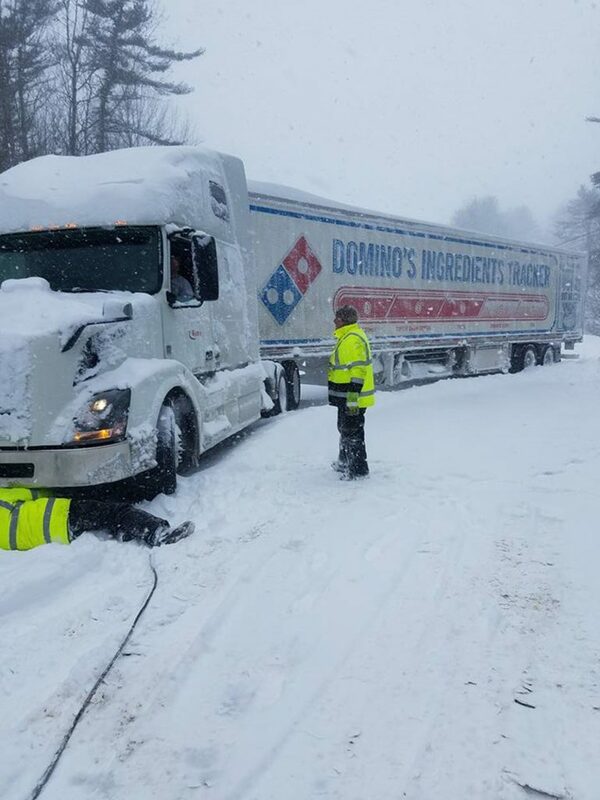 Still another slowed motorists southbound between Gray and Falmouth around 6 p.m.
Nouhan advised Mainers to stay off the roads entirely from Sunday afternoon through Monday afternoon. 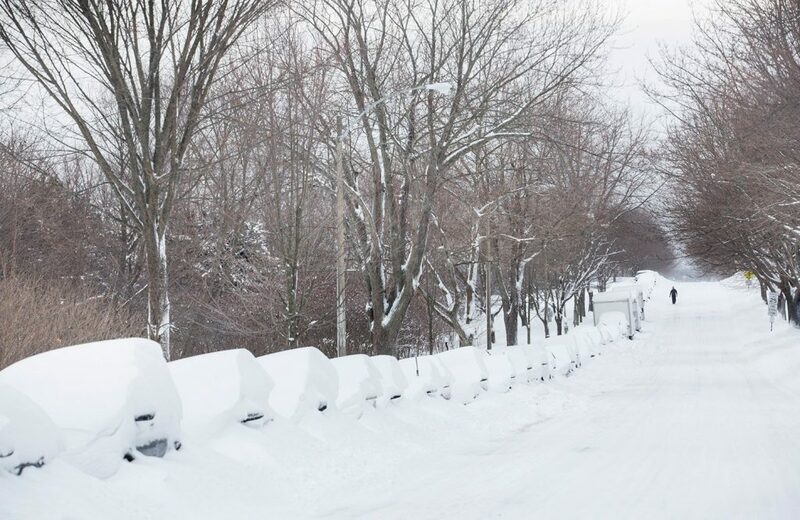 Communities were announcing parking bans in anticipation of the Sunday-Monday storm. 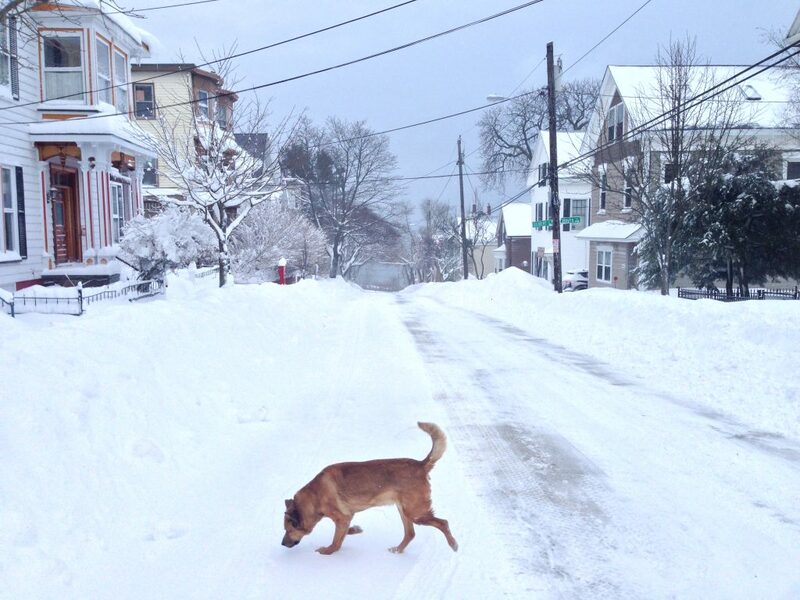 Lewiston will impose a parking ban from 6 p.m. Sunday to 8 a.m. Tuesday on all streets. 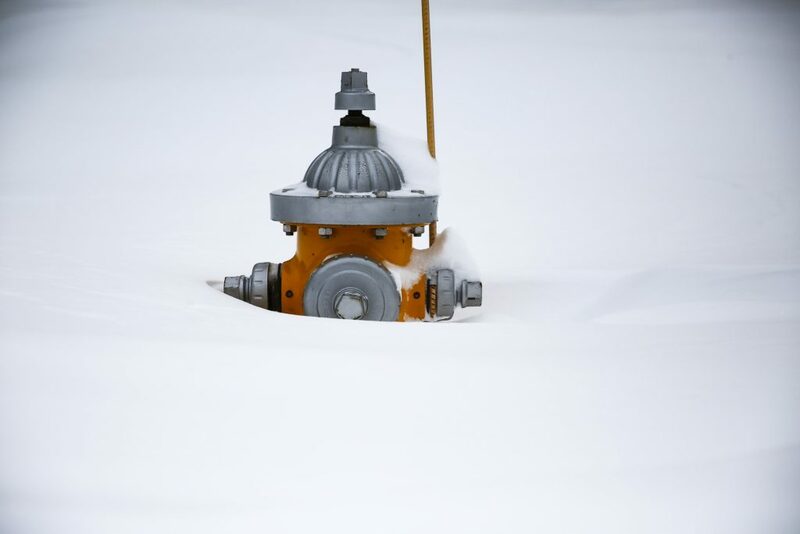 The city of Portland did not issue a parking ban for Saturday night, according to spokeswoman Jessica Grondin, to give public works crews time to rest. 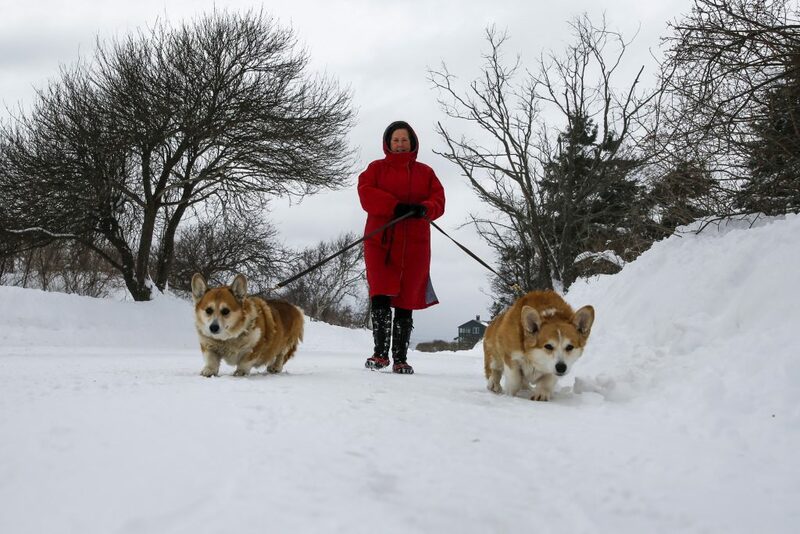 She said parking bans Sunday and Monday were likely. The city also canceled trash and recycling collection for Monday so crews could focus on the snow. Collection will occur the following Monday, Feb. 20. Grondin said she expected the Greater Portland Metro bus service to alter its schedule for Monday but nothing had been decided by late Saturday afternoon. 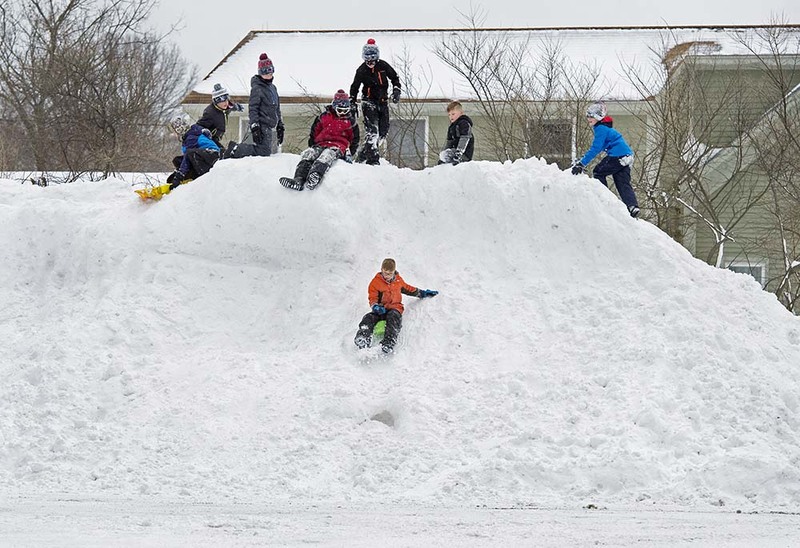 It’s likely that many schools throughout Maine will be closed Monday as well. 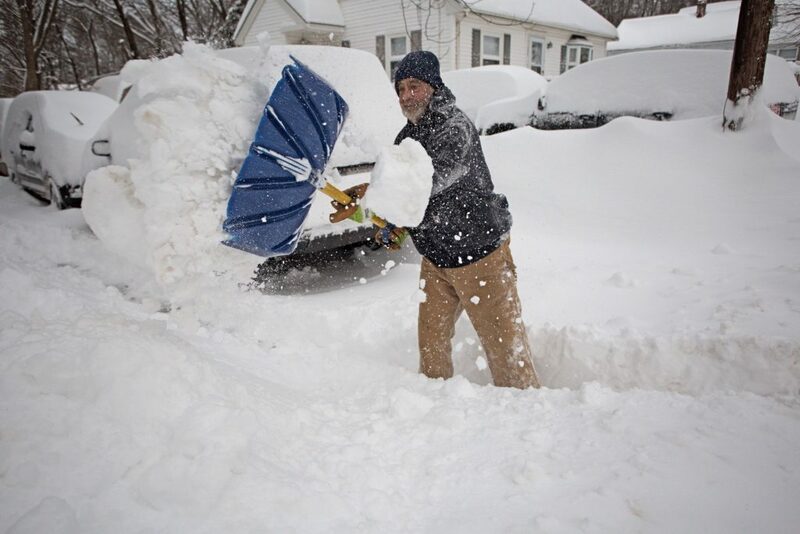 The storm is expected to affect the entire Northeast, especially northern New England. 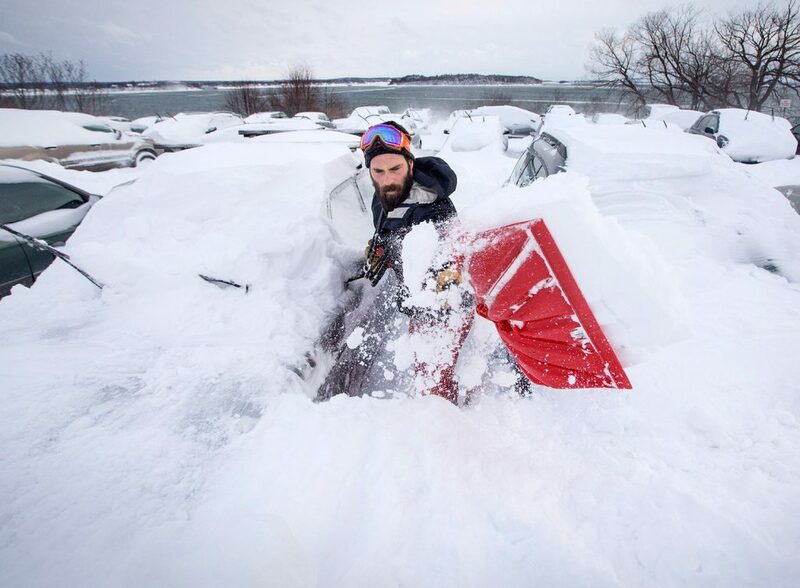 If projections hold, it could rival a storm in late January 2015 that dropped more than 2 feet of snow on much of Maine. 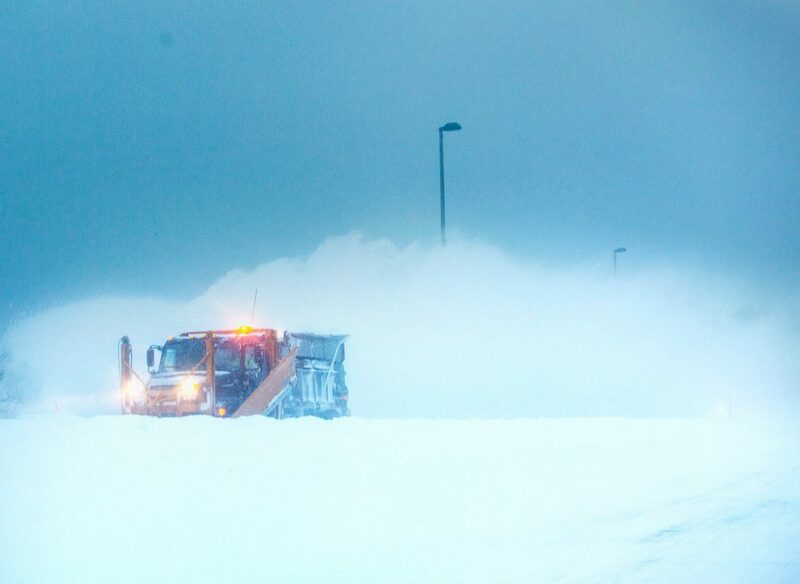 The Portland International Jetport advised anyone traveling Sunday and Monday to check in with their airlines for cancellations. Tuesday should be calm, but there is another major snow system on the horizon for Wednesday or Thursday.